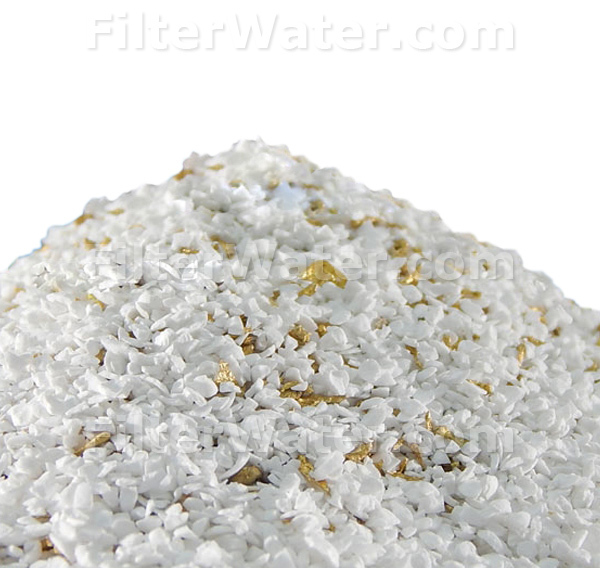 Fluoride Removal Water Filter Media in bag 1 cu.ft. Fluoride Removal Media in 1 cubic foot bags, contains Synthetic Aluminum Oxide absorbent media. 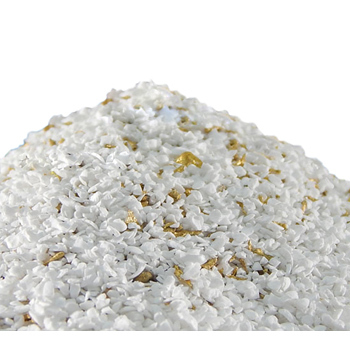 Resin is specifically designed to have a high affinity for Fluoride, Lead and Arsenic. It has a uniform particle size, is physically stable and can be used over a wide pH range (water acidity). Media (also known as granular activated alumina) has been certified by NSF for drinking water system component usage / drinking water plant operations. 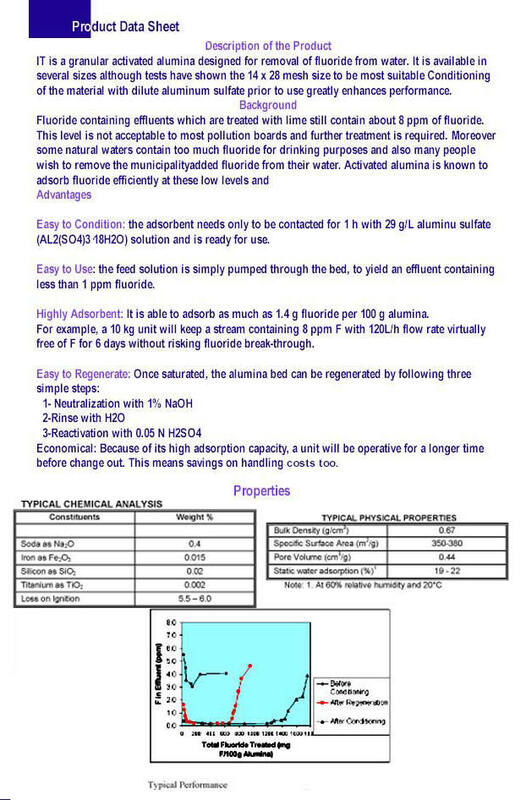 Crystal Quest fluoride removal media removes metals through a combination of adsorption and chemical reaction, and therefore a filtration process is not reliant on ion exchange only.